As a mom, I can tell when I’m out of sorts. Sometimes I don’t stress about the sticky floor or the grumbling kids. And then there are days when everything seems wrong, and deep down I know the “wrong” is something inside me. Everything makes me angry. Have you ever had days like that? The problem isn’t my life, it’s my emotional self-regulation. An easy way to explain emotional self-regulation is the ability to calm yourself down. 1. I must get perspective. I’ve learned to step back from a situation and looking at it objectively. For example, Will it really matter—in light of eternity—that my sink is full of dishes today? Bible reading and prayer helps me gain perspective the most. The quiet of the day tends my soul, and I’m reminded that this day’s troubles are small compared to God’s big plans. 2. I must understand I am an emotional being. It’s okay to have emotions. There are times we should be sad or frustrated. Anger even makes sense at times, but acting out on our emotions in negative ways is never right. 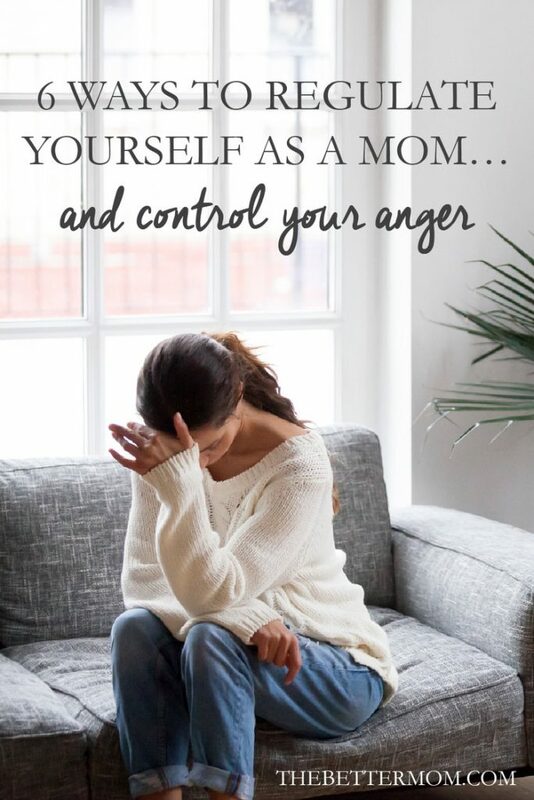 Read 4 more ways to regulate yourself as a mom and control your anger at TheBetterMom.com!